Glandŵr Cymru – the Canal & River Trust in Wales – the charity that cares for the canal, together with the Swansea Canal Society, has secured Rural Community Development Funding (RCDF) with the support of the Rural Development Programme teams in Neath Port Talbot Council and Swansea Council. RCDF is funded through the Welsh Government Rural Communities – Rural Development Programme 2014-2020, which is funded by the European Agricultural Fund for Rural Development and the Welsh Government. Central to the project will be the dredging of almost a mile of the canal, between Coed Gwilym Park in Clydach and Trebanos, due to start in Autumn 2019. Over 6700 cubic metres of silt will be removed from the channel which will enable Swansea Canal Society to operate a trip boat, in addition to improving the canoeing sessions that they already offer. The project will also deliver a programme of conservation repairs to be undertaken by Swansea Canal Society. Volunteers will renovate the historic structures along the waterway, reinforce banks and undertake other tasks including work to protect the biodiversity of the canal corridor. 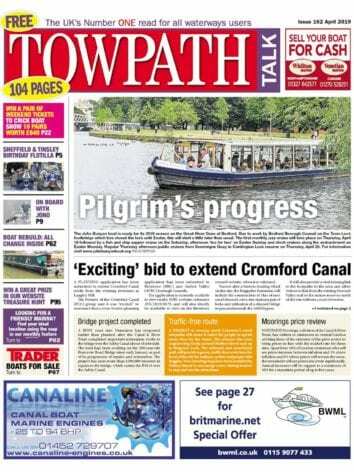 The funding is the first part of a ten-year vision to establish the canal as a premier heritage, visitor and leisure destination. It is estimated that the project could help to generate up to £500,000 for the visitor economy each year across the region. It comes at a time when Welsh government recognises that 60% of the adult population of Wales would like to visit ‘the outdoors’ more often. Research from Glandŵr Cymru shows that, as well as the health benefits offered by walking, running or cycling on the towpath, simply spending time by the water can help people feel happier and improve their life satisfaction. With many people living close to a canal or river, Wales’ waterways are uniquely placed to help people improve their physical and mental well-being. The Swansea Canal was opened in 1796, and the whole length of 16 and a half miles was completed by 1798. Today only five miles of the canal is still in water, from Clydach to Pontardawe and from Pontardawe to Ynysmeudwy. 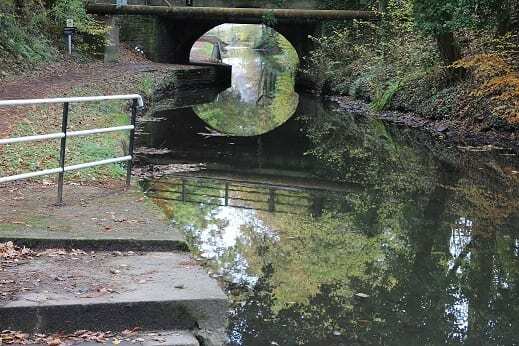 For the third year running, the Swansea Canal has been awarded a Green Flag in the Keep Britain Tidy Award Scheme, and it offers a green walking and cycling route, nestled at the bottom of the steep-sided Swansea Valley.